Not invited to the Royal Wedding? Don’t worry –Heathrow Airport is rolling out the red carpet for everyone and there are a jolly lot of attractions, museums and special sights that are very inexpensive and many where admission doesn’t cost a penny. A must-see for most every London visitor, the National Gallery in Trafalgar Square has more than 2,300 Western European paintings from the Middle Ages to the early 20th century, including work by Leonardo da Vinci, Vincent Van Gogh, Georges Seurat and many others. Admission is free, although there is a charge for some special exhibits. 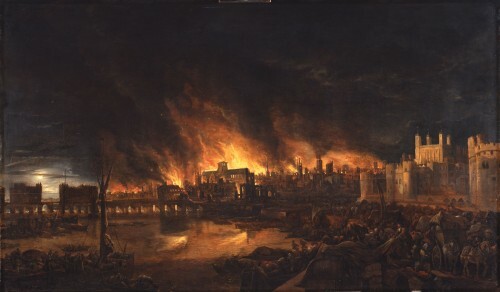 The Museum of London delivers a punch with galleries exploring the archeological history of London, Roman London, Medieval London and the ever-popular display of fire-fighting equipment, paintings, films and objects relating to the September 1666 fire, the Great Fire, that is London’s most famous disaster. Admission is free. Sir Henry Wellcome, of the successful pharmaceutical company Burroughs Wellcome & Co, was a world-class philanthropist and a voracious collector who collected more than million items relating to health and medicine. The Wellcome Collection, opened in 2007, has intriguing changing exhibitions, unusual artwork inspired by modern-day health and medicine, and more than 1500 objects from Wellcome’s collection, including a shrunken head, a guillotine blade, a brass corset, Florence Nightingale’s moccasins, a lock of hair said to be from the head of King George III, and Napoleon Bonaparte’s toothbrush. Admission is free. It’s possible to spend an entire week at the British Museum, which houses more than 7 million items from cultures around the world. So pick a few exhibits and rooms you want to see before you walk through the door. The Egyptian mummies are among the most popular exhibits, so put them on your list, but consider visiting some of the smaller and less-visited rooms, such as the Clocks and Watches gallery, which holds hidden treasures such as this automated brass clock in the shape of a galleon. Admission free; there is a charge for some special exhibits.